Even if a gardener owns a garden tiller to help with the hard work, building a bed of healthy soil can take months, if not years, of planning, preparation, and careful attention. To cut back on that effort, some people turn to the no-till or no-dig method of gardening and farming. No-till gardening has certain advantages, but it might not be right for every garden plot. Before you decide to till or not to till, it helps to think about the soil you have and the needs of your crops. What Is the No-Till Method? No-till gardening is a method that people consider when they want to take a back seat and let nature have more control. The no-till gardener or farmer raises crops through multiple growing seasons, never once disturbing the land with tillage. The no-till method involves spreading compost or other amendments over the topsoil. 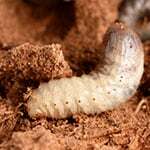 The expectation is that nutrients from those amendments will gradually filter into the soil through irrigation and the burrowing movement of worms, insects, and other living beings. What Should I Consider with the No-Till Method? For all its benefits, the no-till method also requires gardeners and farmers to exercise a good deal of care. Weeds present the biggest challenge that no-till farmers and gardeners face. Tilling or cultivating your garden helps tear weeds apart and break down their root systems. Without tillage, weeds have more time to establish themselves and grow. Weed growth can be reduced with the use of mulch, or a cover crop to use as a form of “living mulch.” Mulch covers the ground and takes up the space that weeds would otherwise try to occupy; it also blocks sunlight from reaching seedlings. However, when spreading mulch, there is a risk that it will contain weed seeds as well. Keep an eye out for any invasive growth in your garden. Generally speaking, mulch will inhibit weeds from getting started in your soil. At the same time, it also might delay the growth of your crops. When applying mulch, take care to leave room for your developing crops to get the air and sunlight they need. Finally, one detail that’s easy to forget is that you shouldn’t walk across a no-till garden plot the way you might step across a traditional garden. The weight of your body can compress and compact the soil. Without tillage, there’s no way to break it up into the loose, healthy soil your plants need to grow. Why Should I Till My Garden? If your soil is rocky or heavy in clay content, no amount of compost, fertilizer, or mulch you lay on top of it will turn it into the best soil for your crops. Plants need loose soil for their roots to grow and spread, and tilling is the most efficient way to break up a densely packed garden bed. 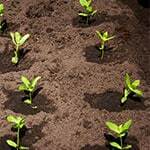 By tilling your garden before you sow your seeds, or running a cultivator between your garden rows during the growing season, you also pulverize and destroy any weeds that might have taken root. This leaves more space and more nutrients available for your developing crops. Tilling helps nourish your crops in yet another way. Because a tiller’s tines dig deep into the ground, they blend organic matter into the soil where it can decompose faster to provide earlier and more plentiful biomass to your plants. The choice to till your garden ultimately should depend on the state your soil is in. 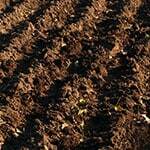 No-till gardening can reduce the loss of soil and moisture and spare you some physical labor. However, to ensure the long-term health of your soil, don’t be afraid to dig deep, especially with the help of a tiller. To Till or Not To Till.. Our Power Equipment Direct how-to library can help you learn about How to Grow Crops with Raised Rows or Beds, Proposition 65 Product Labeling and Sales Tax Information.